Genes and lifestyle play a part, but nutrition is a major factor. Especially as we now know that certain nutrients can switch good genes on and bad genes off, and others protect DNA from damage. For most people, that’s an ideal rather than a realistic prospect. NutriShield helps fill the gap between the two. NutriShield can improve your nutritional status from good to GREAT. There is a BIG difference between adequate nutrition and optimum nutrition. 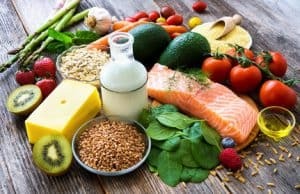 The reason that health experts recommend so many portions of fruits and vegetables, plus oily fish, is because at these levels your diet has a measurable effect on health and longevity. Your cells and tissues are then being continuously supplied with nutrients that can switch on positive genes, build healthy new cells, fight inflammation and help prevent DNA damage. It’s a level that can significantly reduce the risk of degenerative disease, said the UCL researchers in a report published by the British Medical Journal. That’s why we developed NutriShield. NutriShield obviously doesn’t replace the need for high quality food, but it will boost your intake of a wide range of nutrients that are strongly linked to long term health. And move you towards an optimum level of nutrition. When you choose NutriShield, you have the security of knowing that it was formulated by Dr Paul Clayton, former President of the Forum on Food and Health at the Royal Society of Medicine. NutriShield obviously includes a full range of essential vitamins and minerals – but they are at optimised, not just RDA levels. Added to these are 15 plant-derived micronutrients like the polyphenols green tea, grapeseed, bilberry and curcumin, the carotenoids lycopene, beta carotene and lutein PLUS Omega 3 fish oil for a truly comprehensive supplement for over 50s. The plant nutrients make a vital difference to the bioavailability and health benefits of the vitamins and minerals, as they re-create a natural “food matrix”. In all, NutriShield Premium supplies 43 high quality nutrients, making it a heart, brain, skin, joint, eye and energy supplement all in one. 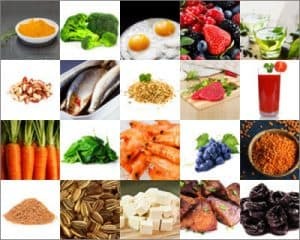 It’s a daily baseline of highly concentrated nutrition, which helps you reproduce the level and range of nutrients found in the diets of the world’s healthiest people. And therefore an ideal supplement for everyone over 50. 800 IU of natural Vitamin D3, the sunshine vitamin, for its role in immune function and strong bones. in a convenient daypack sachet. There’s a full 600 mg of Omega 3 fatty acids (high in EPA and DHA) from fish oil – which are anti-inflammatory and acknowledged to be associated with brain, eye and joint health. When Omega 3 is combined with marine polyphenols, as in nature, there is also a link to heart health. These marine polyphenols are in the plant extract caplet from a seaweed. We use the better-quality triglyceride forms of highly purified fish oil from sustainable sources, which are more easily digestible than esters. It is the combination of flavonoids and polyphenols with vitamins and minerals that makes fruits and vegetables so healthy. This caplet will boost your intake of these important nutrients, which also have powerful anti-oxidant and anti-inflammator benefits. This caplet includes polyphenols from grapeseed, bilberry, green tea, black pepper and seaweed plus curcuminoids from the curry spice turmeric which adds a further anti-oxidant and anti-inflammatory effect. Flavonoids have been researched, not only as an aid to joint mobility, but also as an important support to heart health. This powerful capsule contains additional natural Vitamin E in the preferred, but rarely offered, form of mixed tocopherols. The specialist Carotenoids beta carotene, lutein (eye health) and lycopene (cell protection) are included too. Cells need to communicate with each other to function properly and errors in cell signalling can lead to serious health issues. Pub Med, the on-line publishing arm of the US National Institutes of Health, confirms that carotenoids have a role in maintaining normal cell signalling. Co-Enzyme Q10 or CoQ10 is known to assist in the production of energy from mitochondrial cells and many studies have been conducted on its role in cardio-protection. Betaine can help to lower homocysteine which is a risk factor for heart disease. CoQ10 is available as a medicine in some European countries. It declines naturally in the body with age, and its role appears to be inhibited by statins. High levels of homocysteine are linked to heart disease, so betaine helps protect against heart disease. Betaine also supports the nervous system. Glucosamine is involved in joint mobility. We use the preferred hydrochloride form rather than the much cheaper sulphate, AND it’s a vegetarian source. Cell-protective Soy isoflavones genistein and daidzein (derived from GM-free soy) are linked to exceptional Japanese longevity. They are also known as “plant oestrogens”, and can act as a natural version of HRT. The average person is living longer – but they will live their last decade or more with some level of health disability and dependency. It doesn’t have to be like that. An adult’s body makes over 50 billion replacement cells every day! Each cell needs high quality nutrition, otherwise errors can creep in and multiply, which are at the heart of ageing and ‘age related’ diseases. So biological ageing is not simply due to the passing of the years, but to the fact that inflammation builds up in body tissues, DNA and mitochondria are damaged by free radical action, cell regeneration is less efficient, and the immune system is weaker. The secret to staying healthy, living longer and ageing more slowly is to reduce, limit or even prevent these threats. That’s why we include such an extensive range of protective nutrients. So NutriShield Premium is a heart, brain, skin, joint and eye supplement all in one. It’s also why we include optimum levels of vitamins and minerals, rather than just the RDAs. You can see evidence of NutriShield’s effectiveness under independent tests here. NutriShield’s unique combination of nutrients has proven anti-inflammatory, anti-oxidant and positive cell-health effects. 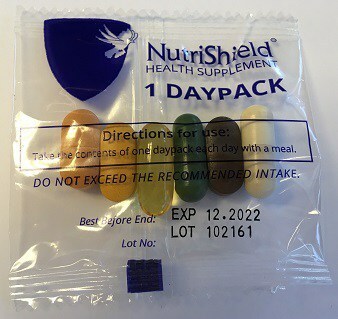 Open the box below to find out what you would need to eat EVERY DAY to get the range and levels of nutrients in each daypack of NutriShield. NutriShield was designed by Dr Paul Clayton, former president of the Forum on Food and Health at the Royal Society of Medicine. He has spent 35 years researching nutrition and the diets of the world’s healthiest, longest-lived people. 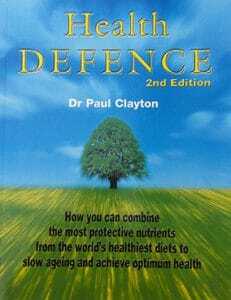 It is these findings, published in the best-selling book Health Defence, on which NutriShield is based. You can read Dr Clayton’s free introductory report to the book or the full text by clicking on the cover. Dr Paul Clayton has summarised the latest research on slowing ageing and staying healthy in 14 slides called The Pillars of Health. 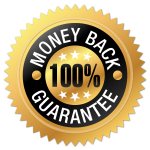 If, for any reason whatsoever, NutriShield does not live up to your fullest expectations, simply call or email us, and we will give you an immediate full refund, including postage. Via our Health Library and e-news and regular social media posts, we support you with articles and advice on all aspects of healthy living. ✱ Disclaimer: These are individual views expressed by the contributors and not by Uni-Vite Healthcare. Opinions and results may vary from person to person.